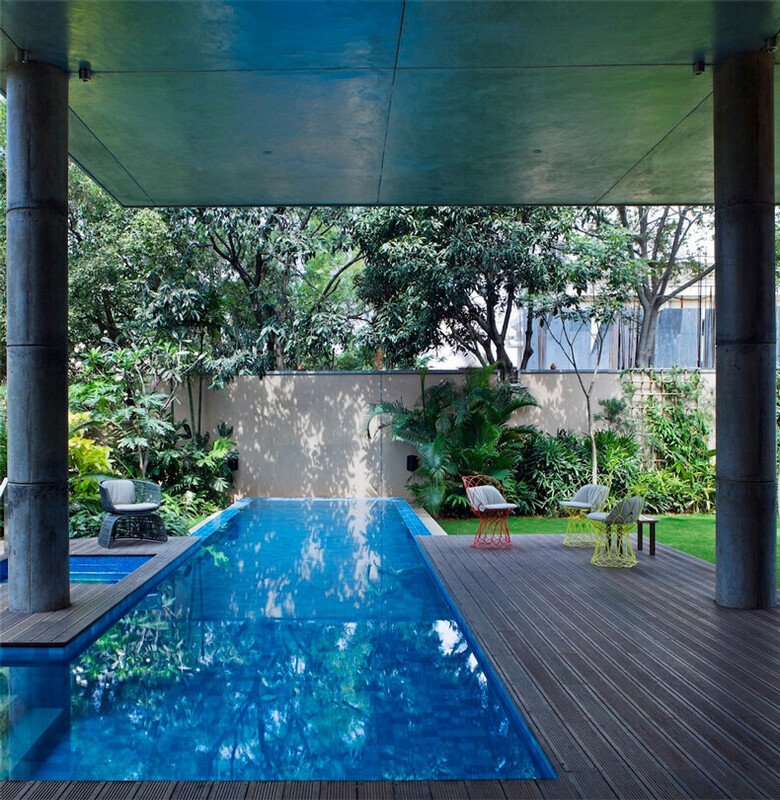 Wishing for a quiet place away from the crowded city, the owner of Library House wanted a more generous space, a verandah to watch the rain fall and a contemporary garden. 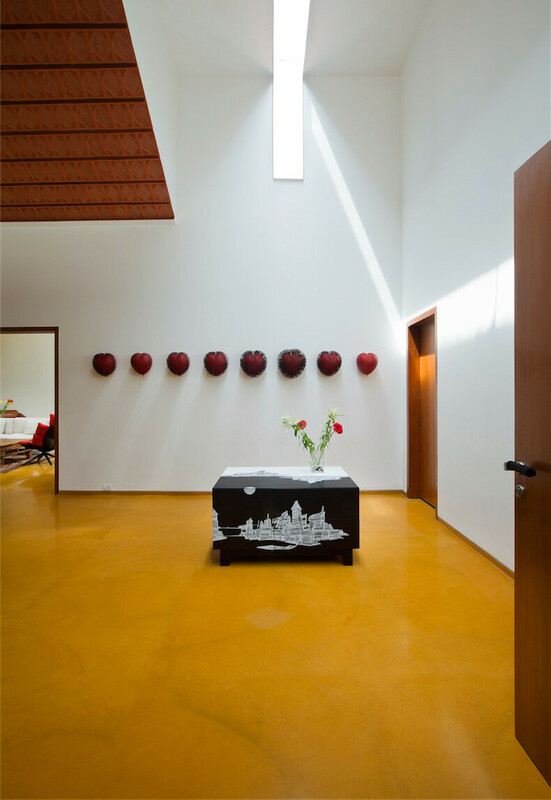 The realization of this project came to the Khosla Associates Company that has specialists in architecture and interior design. 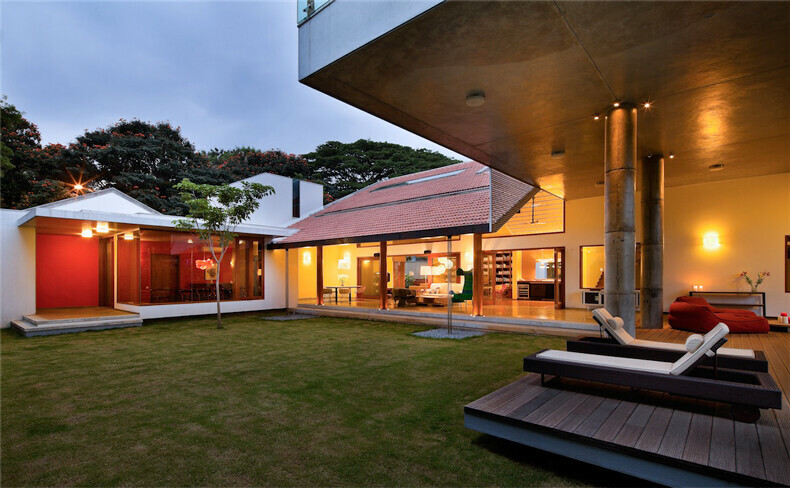 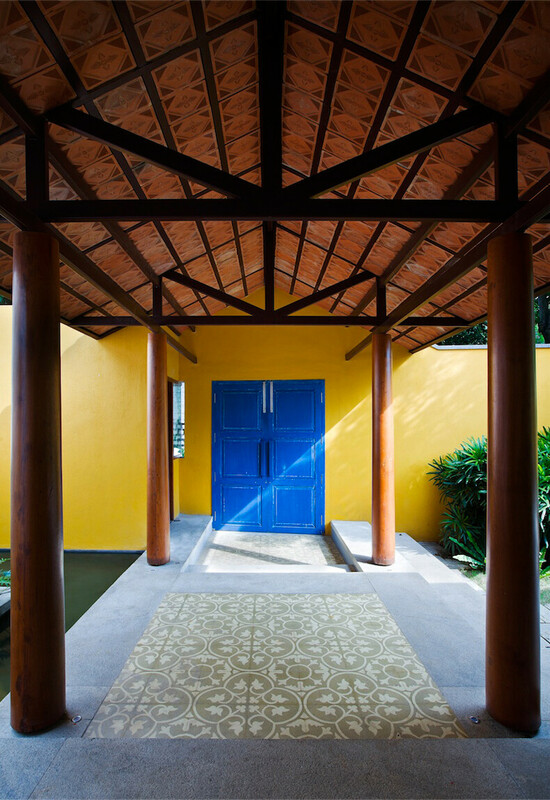 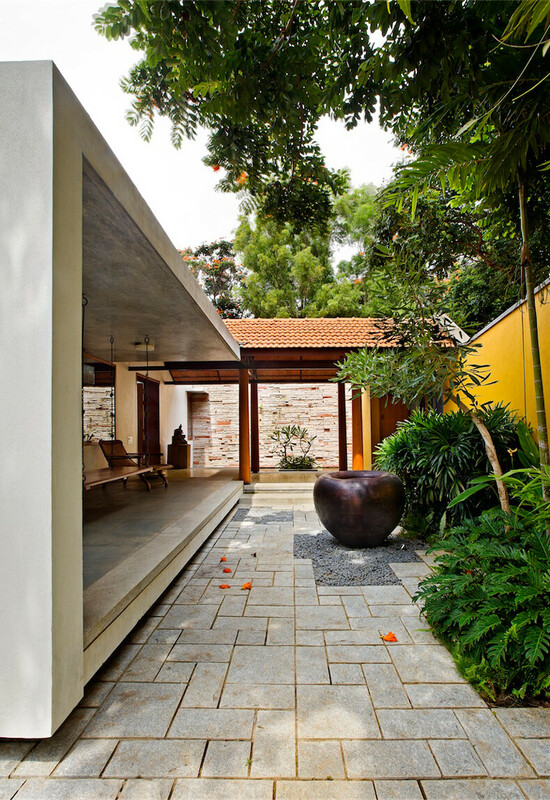 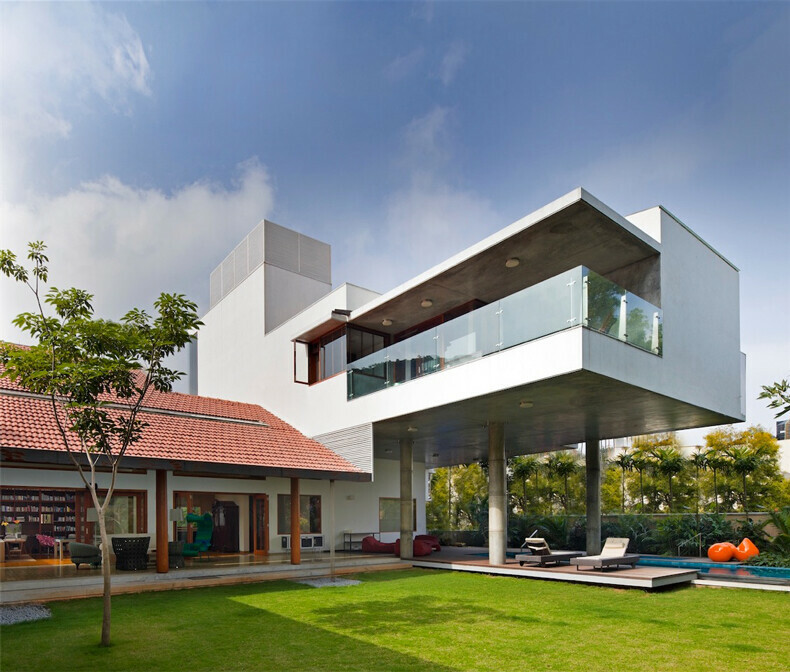 Although the house has a contemporary architecture, it preserves a nostalgic air reminiscent of old the Bangalore. 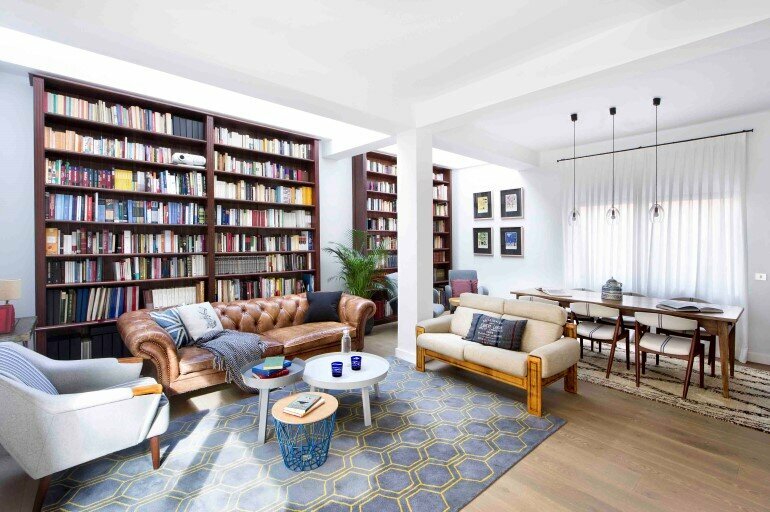 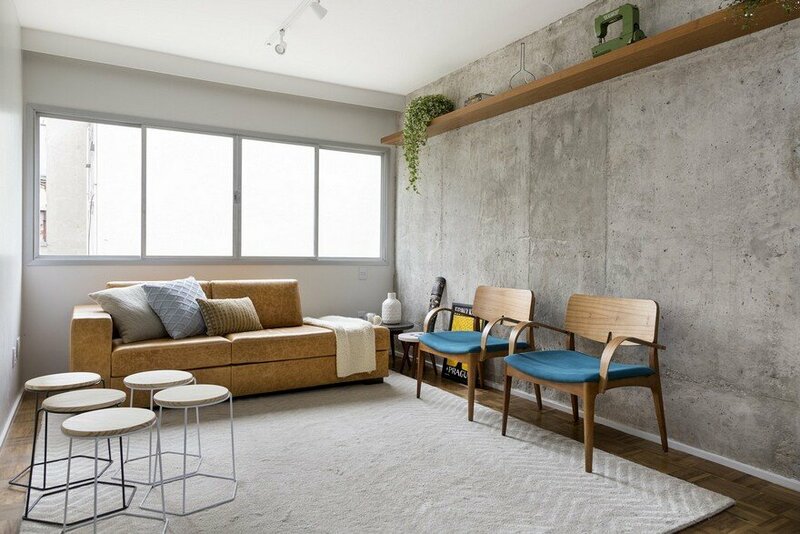 Due to the fact that the owners are avid readers, it was necessary to allocate a wide space to the library, which became the center of the house around where various activities develop. 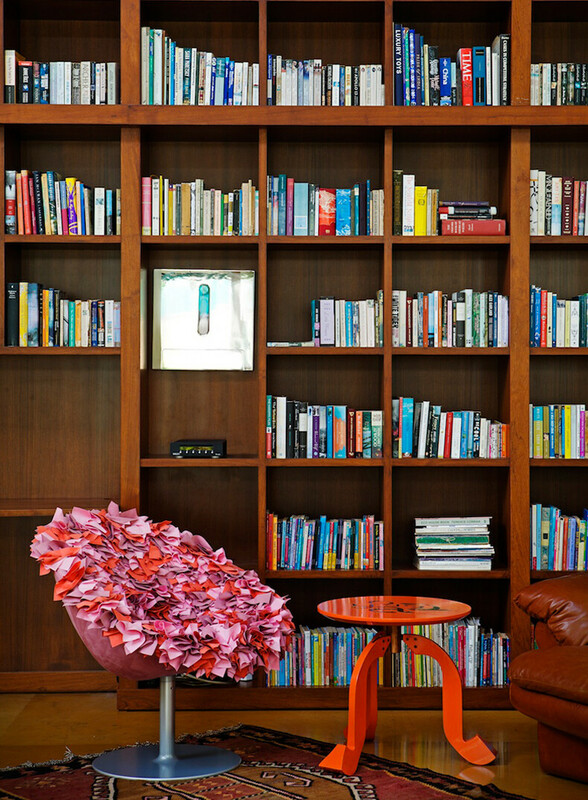 Being as an anchor for the home, the library gave the name of the house. 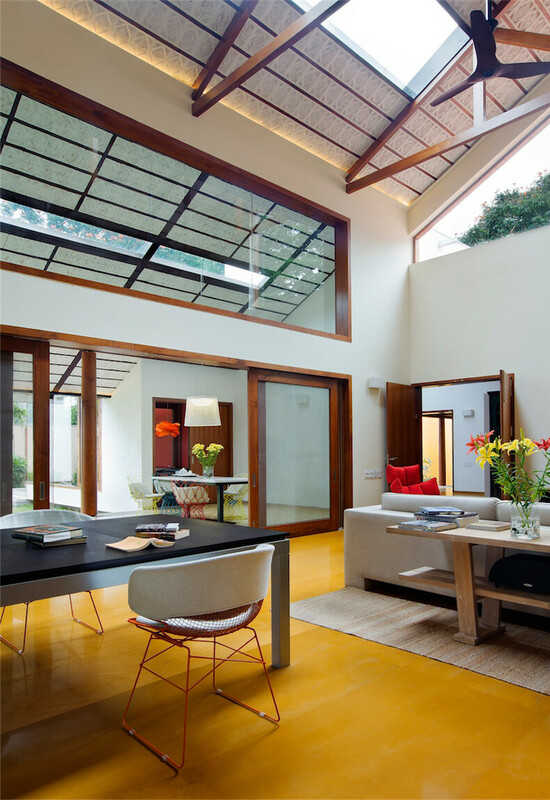 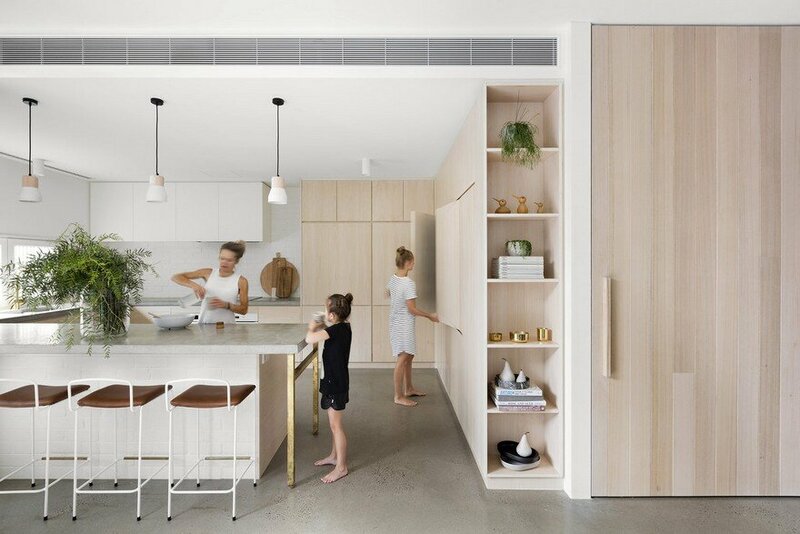 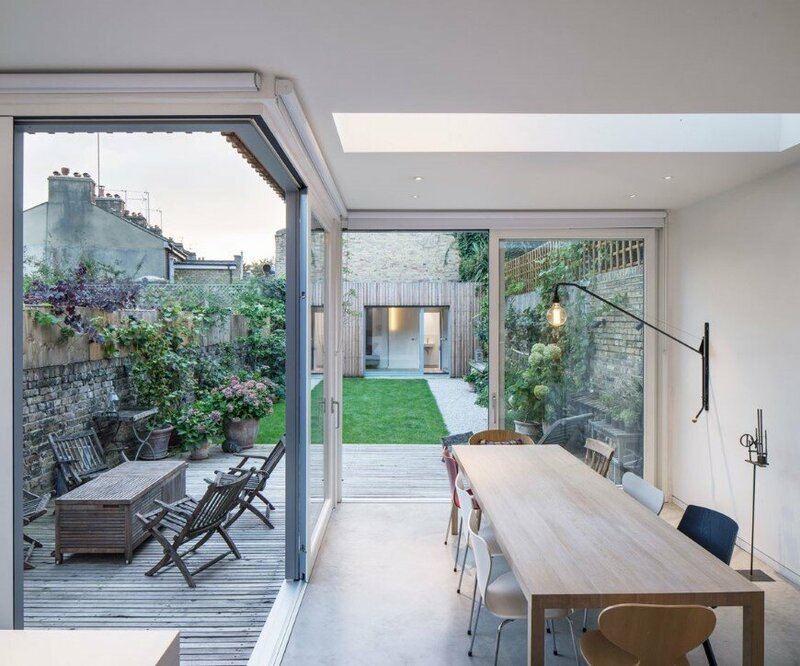 The generosity of the interior space also extends out through the large sliding doors, in a large porch, pool deck and garden. 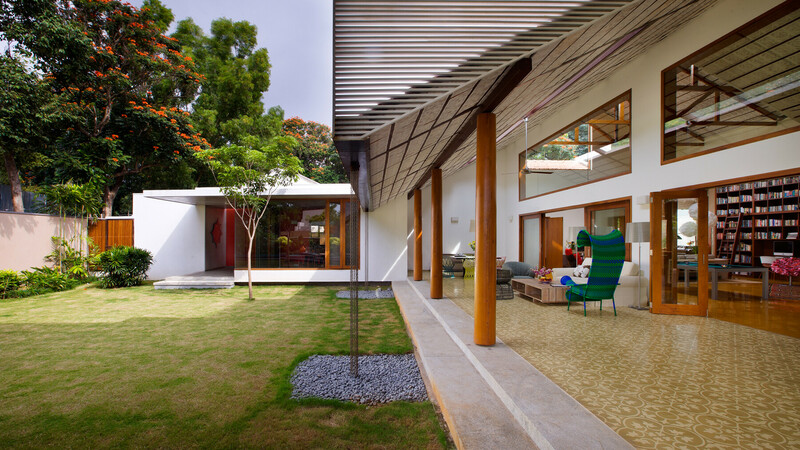 Comfortable clusters of seating in the verandah and deck interact with the library as well as the garden. 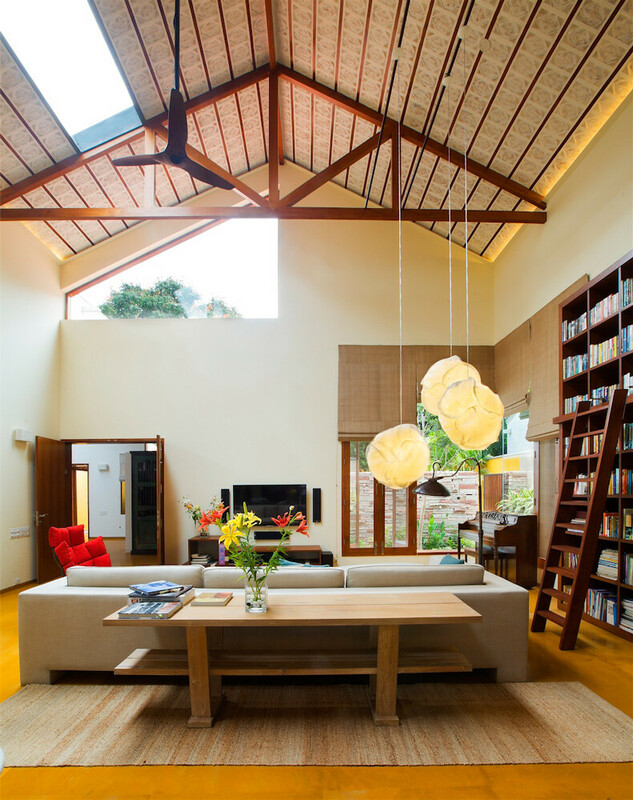 Library House has a high degree of energy efficiency having installed photovoltaic solar panels and a system of accumulation of rainwater in a large underground basin. 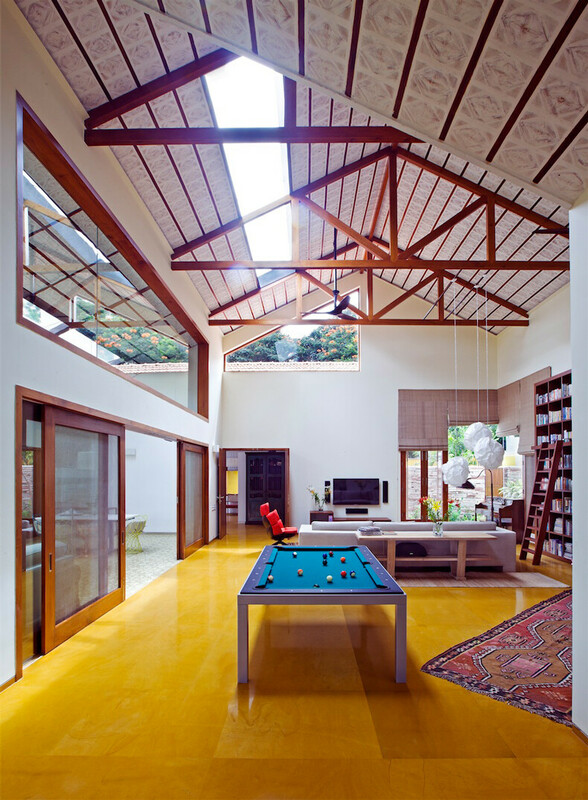 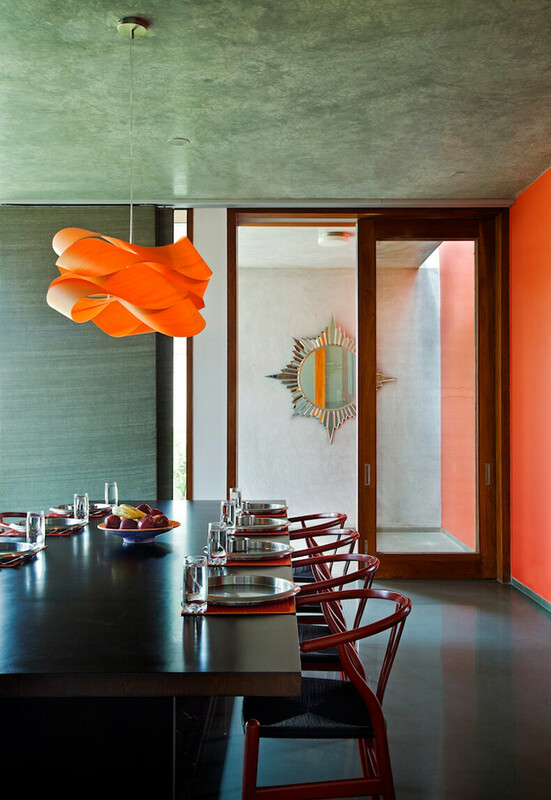 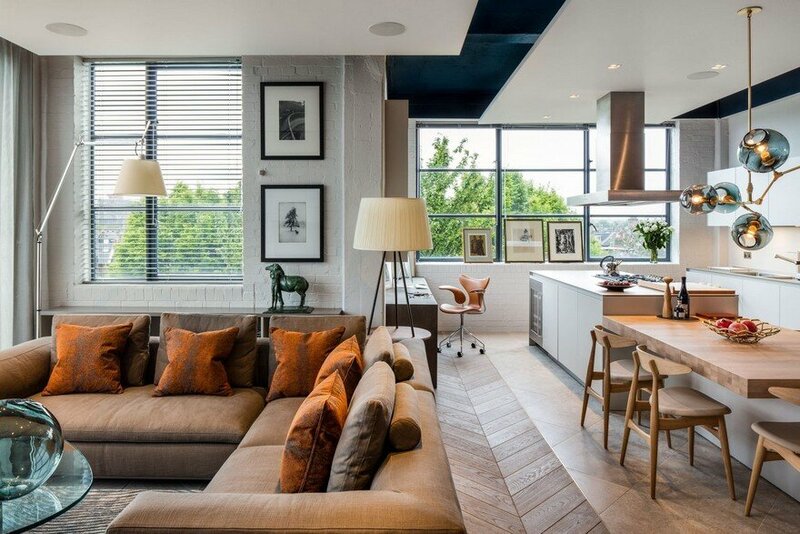 The interior is distinguished by an eclectic style being a combination of old and new, “global” and “Indian”, leaving itself uncovered and offering surprises as you move through the house.